“…Obsessed with entertainment and possessions, we’ve become slaves to our most basic impulses. All of our attention is so completely captured by the fool’s gold surrounding us, that we have become dulled to the voice of God and His great calling for our lives. It’s time to wake up and realize that this world has nothing for us, only the power and love of God can ever fulfill the desires of our hearts and minds…” One of my favourite female fronted bands ever (along with ZOEgirl and BarlowGirl), Fireflight are back with a second thought-provoking and poignant single this year- this time titled “Die Free”, on the heels of the powerful and hard hitting melody “I Won’t Look Back”, which released earlier this year. While some long-time fans had reason to be wary and apprehensive about the genre of “I Won’t Look Back”, given that rock was more or less absent from their 2015 release Innova and EDM was present more than rock; I can confidently say that Dawn, Wendy and Glenn are back and as a force to be reckoned with. 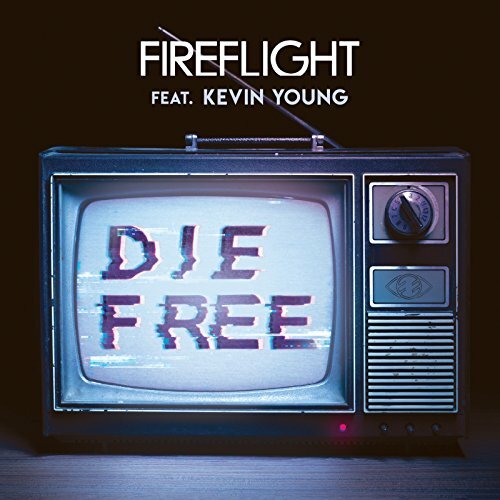 Particularly with this single (featuring Kevin Young of Disciple on guest vocalists) as “Die Free” carries a punch, with the rock anthem a natural progression from its thematic and lyrical predecessor “I Won’t Look Back”, as we inspired to live a life that is focused on God first and foremost, instead of all of the worldly desires and pleasures that the devil tempts us with. Musically, this track is quite similar to “I Won’t Look Back”, except this track is notched up to eleven on the ‘heavy’ scale, with plenty of grunging guitars and explosive head banging and searing guitar solos, with Dawn ardently reiterating that the devil can come and take our lives, however we’ll still die free, if we know that we are standing by our morals, and standing by what God stands for. A confronting yet necessary track to listen to particularly in this economic and political state of uncertainty around the world- if we know that our freedom resides in Jesus, and only He can make our lives clean and show us the direction that He wants us to take; we can declare and declare with assurance and conviction, that we are indeed free, and if our stand for Christ results in death, at least we are free in Him til the very end. Fireflight have come a long way from their debut album on Flicker Records in 2006. Ten years later, and a vast amount of #1 hits and singles, we have seen the band grow musically, lyrically and stylistically. Though it is not known whether songs like “I Won’t Look Back” or “Die Free” are both signs of things to come (more rock? More personal anthems? ), but one thing is for certain. Fireflight will continue to make waves and create discussion for many years to come. “Die Free” isn’t really my favourite song of the year; it is still a necessary song, as we delve into the ins and outs of being a Christian especially as we are facing adversity. So give it a listen, let us know what you think! Well done Fireflight, here’s for many more poignant and personal melodies filled with hope, from a band that’s one of the last decade’s most underrated bands ever!